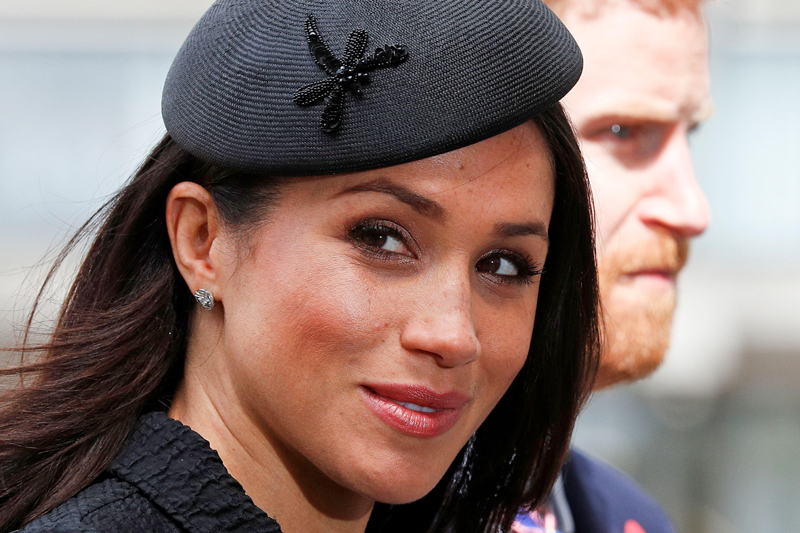 Just because she'll soon be a royal doesn't mean that Meghan Markle is above using the same methods less famous brides do when it comes to choosing her vendors. In fact, according to The Telegraph, when it came to finding the perfect florist for her upcoming May 19 nuptials to Prince Harry, Markle went the very traditional route most brides take when it comes to selecting some vendors—by using Google. Sources told the publication that the 36-year-old former actress chose Philippa Craddock, who is the preferred supplier for public and private events hosted by Kensington Palace, by searching her on the internet, something she herself allegedly told Craddock. The publication also reports that there's a chance Markle opted for Craddock's work because of her connections and partnership with a Briton-based charity. Markle, who has been a patron of several charities as well, is believed to have been swayed by the commitment Craddock seems to have to the charity, which is raising money to fund a well that will provide an entire community with clean drinking water. It is a cause Markle has also campaigned for in the past. Among the responsibilities Craddock will have for the royal affair are decorating both St. George's Chapel and St. George's Hall, where the ceremony and reception will be held. For those arrangements, it is said that they will consist of white and pastel colors for spring, and will include locally sourced seasonal foliage, white garden roses, and foxgloves, as well as Markle's favorite flower, peonies. Craddock will also design Markle's very important wedding bouquet. Details about that arrangement have not been revealed, though it is expected she will incorporate a sprig of myrtle, which is a royal tradition. Other vendors who were chosen to work the royal wedding, (it's unclear if they were found via Google or other methods), were printers Barnard and Westwood for the coveted invitations, as well as Violet Cakes owner Claire Ptak, who will make their lemon elderflower cake. As for Markle's dress, Daily Mail reports that Ralph & Russo, who designed her $75,000 engagement portrait gown, is also designing her first dress for her wedding day as well. According to the publication, the gown is estimated to cost £100,000 (approximately $135,000) and will be a hand-stitched and heavily beaded design.